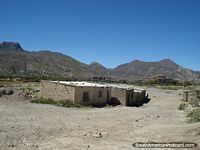 About Tupiza via Atocha to Uyuni. 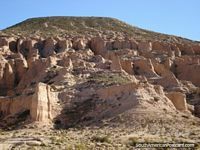 Interesting rock hills in the Andes in Atocha. 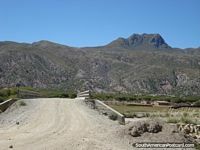 Roads, bridges and mountains between Tupiza and Uyuni. 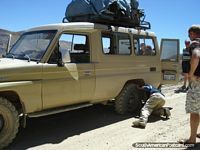 The terrain from Tupiza to Uyuni is rough and dusty. 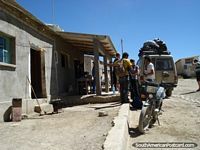 A stop while traveling from Tupiza to Uyuni in a jeep. Cactus alongside the road between Tupiza and Uyuni.